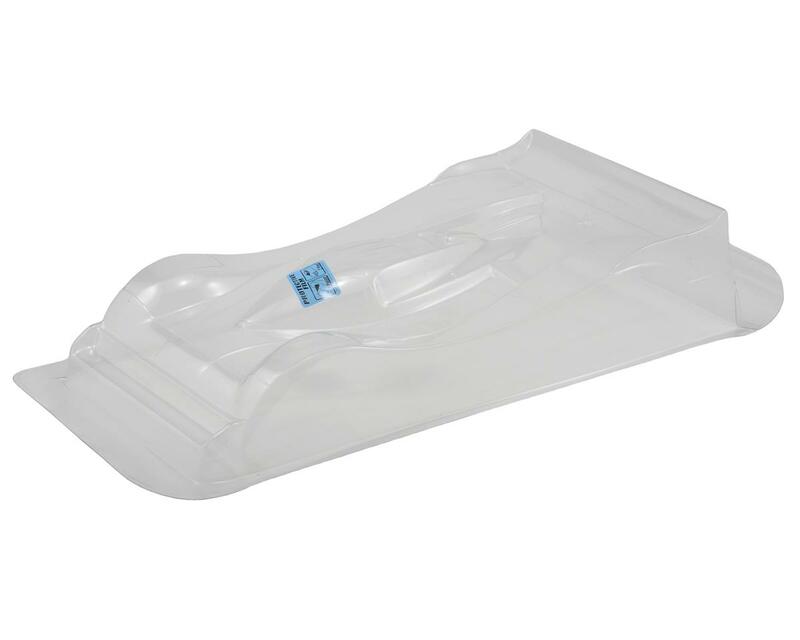 This is the PROTOform P905B 235mm High Downforce Pan Car body. The past year has seen a renewed interest in all the various 1/10th scale on-road classes that use the venerable “pan-car” chassis. Even the 235mm class has gained much popularity in various parts of the world. These racers seem to just “rock on” regardless of racing trends that come and go. By popular demand PROTOform is now releasing the same body style that the legendary Masami used in winning the last-ever IFMAR Pro 10 Worlds – the “P905B”. For it’s “encore performance” the P905B mold has been configured in the hi-downforce mode to enhance handling on a variety of tracks and surfaces. 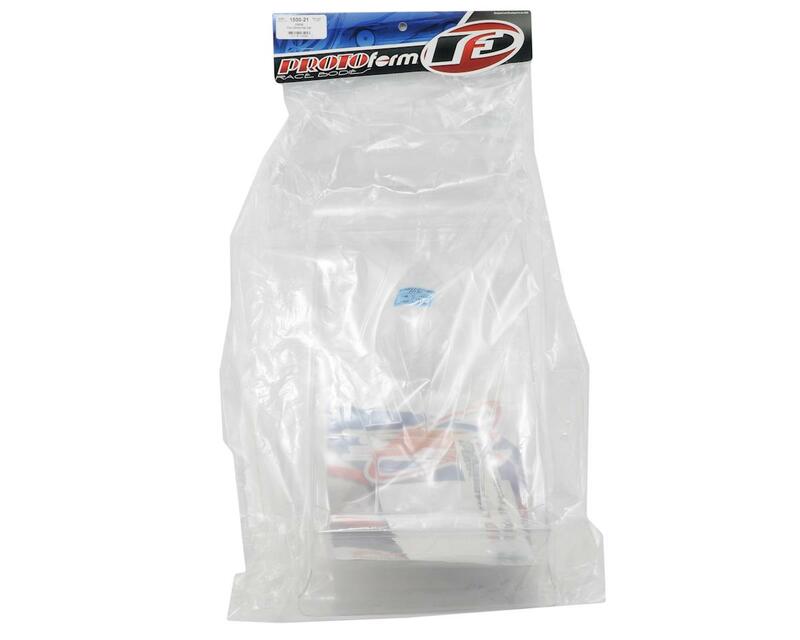 It comes with protective coating and is produced in .030 Lexan. The Protoform “P905B” race body still performs with the best of them!